It is important to note that while there is no cure for chronic venous disease, there are treatments that can help slow its progression. Surgical Specialists of Ocala offers endovenous ablation – a procedure which closes diseased varicose veins. Another treatment we offer for venous disease is called Phlebectomy, a painless surgical procedure that carefully removes varicose veins. Sclerotherapy – one of the more popular procedures – treats both spider veins and varicose veins with injections. Recovery time from each of these procedures is minimal. It is important to diagnose venous disease in its early stages before it progresses. Our venous disease specialists thoroughly evaluates each patient, then develops a customized treatment plan. Don’t wait until venous disease become a problem and keeps you from doing the things you enjoy. Call us to schedule your venous disease evaluation today! Most people seek treatment for venous disease primarily for cosmetic reasons. However, left untreated, venous disease can lead to health issues including severe venous insufficiency, ulcers, sores, inflammation and even painful rashes. Venous disease is the result of the veins becoming abnormal. This can occur for a variety of reasons, including pregnancy and standing for long periods of time on a regular basis. There are numerous conditions which result from venous disease, all of which we treat right here at Surgical Specialists of Ocala / Vein Center of North Florida. Venous disease many times presents as varicose veins with or without pain. We offer numerous types of treatment for varicose veins, including endovenous thermal ablation and VeneFit Closure. Phlebectomy is a procedure used when venous disease results in large, ropy veins. This surgical procedure involves completely removing the damaged vein. Sclerotherapy is a medical procedure where our physician injects a solution directly into the affected vein. This results in the vein turning into scar tissue that fades from view over time. This is a very common treatment for both varicose and spider veins. If you know or suspect you have venous disease, it is recommended you make an appointment to get an evaluation. Treating venous disease in its early stages often allows for the most minimally invasive procedures and best long term results. Pain – Varicose veins can cause pain in some people. This can be especially apparent after sitting or standing for long periods of time. 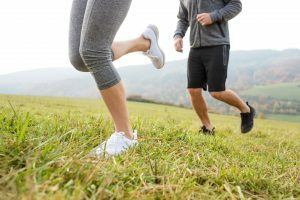 Muscle Cramps – Burning and cramping muscles – especially in the lower leg region – is not uncommon in people who have varicose veins. Itching – Some people experience annoying and irritating itching around their varicose veins. Bleeding – Some varicose veins – especially those close to the skin – burst open and bleed. Inflammation – This is another common issue with varicose veins. Serious Vascular Issues – Additional vascular problems may be present in people with varicose veins. If you notice any hardening of your veins, seek medical attention as soon as possible. Ulcers – Painful ulcers may form near varicose veins, especially near the ankle area. Blood clots – Although rare, blood clots are very serious and sometimes deadly. Seek emergency medical attention if you notice sudden swelling in either of your legs. We often see patients who are unaware of the many medical problems caused by varicose veins. In many cases, patients attribute pain, cramping, ulcers, etc. to other conditions and are amazed when treating their veins alleviates some of the above medical issues. 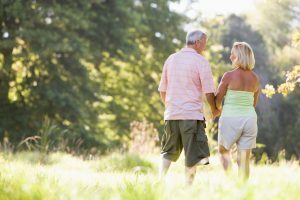 Our vascular specialists have decades of experience in treating varicose veins. Contact us today to find out how we can help you. Or, complete our online vein screening from the convenience and privacy of your home. 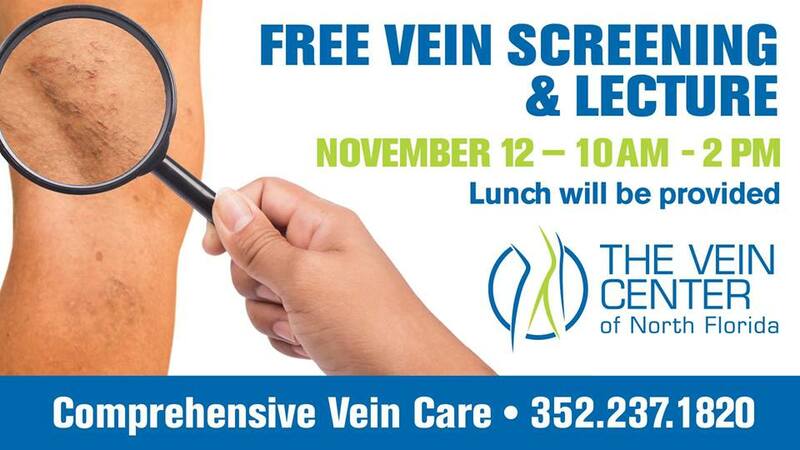 If you are suffering from varicose veins, edema/swelling, restless legs, leg pain, discoloration/pigmentation changes, ulcerations or other symptoms, please join us for a Free Vein Screening and lecture. November 12 from 10 a.m. to 2 p.m.
Surgical Specialists of Ocala is proud to announce that we are the only accredited Intersocietal Accreditation Commission (IAC) Vein Center in Central Florida and one of only six in the entire state. What does this mean for you? It means you and your family can take comfort in knowing that your vascular surgeon practices within the highest industry standards and places great value on your health and well-being! We earned this accreditation after undergoing an intensive review process and demonstrating our dedication and commitment to quality patient care. 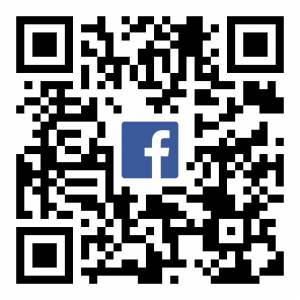 You will now see the IAC seal of approval appearing on our website, appointment cards and collateral materials. The official accreditation reads: IAC in Vein Center in the area of Superficial Venous Treatment and Management. Over the years, we have worked hard to become the premier vein center in Central Florida. We have successfully treated thousands of patients for varicose veins and spider veins. Our minimally invasive surgical vein procedures require little recovery time and have literally transformed the lives of patients suffering from and embarrassed by varicose veins and spider veins. Steve Tieche, MD and Dr. Ravi Chandra are our Medical Directors. Call us today to find out how the only accredited IAC Vein Center in Central Florida can treat and help eliminate painful varicose veins and unattractive spider veins. 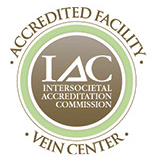 Learn more about IAC Vein Center accreditation. In most cases, we will gain access to your vein through the groin. Depending on your age and health, you will likely be treated as an outpatient and discharged the same day. Patients who undergo stenting often notice a decrease in swelling and discomfort in their lower extremities. They also find walking to be more comfortable. The efficacy of the procedure is very good, with results usually lasting long as long the stents remains in place. Too often, people suffer from the discomfort caused by blocked or damaged veins. Surgical Specialists of Ocala offers many minimally invasive treatment options to help restore your health and confidence. If you are apprehensive about making an appointment right away, please consider our confidential online vein screening. While this is not a substitute for a complete examination, it will allow us to give you feedback as to whether or not you could have a vein condition we can treat. We care about our patients and we are here to help! RELATED ARTICLE: What is a Venogram and Why Might I Need a Stent? 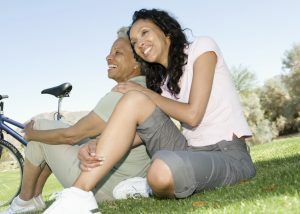 Learn more about Vein Screening. What is a Venogram and Why Might I Need a Stent? When we need to see exactly what is going on within your veins, we take what is called a venogram. This minor procedure involves injecting a harmless dye into your veins and taking an x-ray. This allows us to see your veins more clearly and identify any blockages or damage. If we find a blocked or damaged vein, we will likely discuss angioplasty and stenting. Angioplasty is basically a surgical correction or unblocking of an artery or vein. We can repair the vein using what is called a stent, which is basically a tube we insert to restore normal blood flow to the area. Angioplasty and stenting are often performed when the traditional treatment of compression results in leg swelling or after ablation therapy. 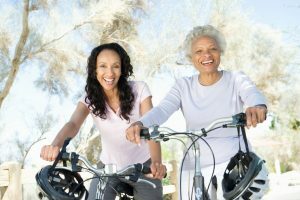 Spider Veins vs. Varicose Veins – What is the Difference? Though both can be treated surgically, the symptoms and presentation of spider veins and varicose veins are very different. Let’s take a look at some key features of each. Spider veins get their name from their web-like appearance. They may become discolored and, when tightly clustered, spider veins can sometimes look like a bruise. Spider veins are generally < 1mm in diameter. While these veins can be unsightly, they do not bulge, pose no health problems and are often treated cosmetically. Symptoms may include minor burning and itching at the vein site(s). Sclerotherapy is a common, proven treatment where a small amount of solution is injected into the vein, causing it to fade and eventually dissipate over time. Varicose veins occur when the valves within the vein are weakened and do not fully close. This results in bulging veins that are often blue and/or black in appearance. Varicose veins commonly occur in the legs and ankles. Symptoms – in addition to bulging and discoloration – may include leg cramps and/or aches, burning, throbbing, tingling and swelling. In some cases, leg ulcers may develop. Varicose veins are generally > 3mm in diameter. Sclerotherapy can sometimes be used to successfully treat small varicose veins. Endovenous Thermal Ablation is a minimally invasive treatment option where a catheter is inserted into the diseased vein to seal it shut, thus re-routing blood to healthy veins. The vein then shrinks and is absorbed by the body over time. Another treatment option is a Phlebectomy, where the entire varicose vein is removed in sections. The instances of both spider veins and varicose veins increases with age. Many patients report being embarrassed by their appearance prior to treatment. It is always exciting when a patient tells us that they are finally able to wear shorts, skirts and/or bathing suits without feeling awkward or uncomfortable. Are you plagued by unsightly and/or painful veins? Our highly qualified specialists provide comprehensive vein care and a variety of treatment options. Summer is just around the corner, so make your appointment today. Or, if you prefer, one of our board-certified specialists can conduct an online vein screening. Varicose veins are tortuous, twisted, or elongated veins. This can be due to existing (inherited) valve dysfunction or decreased vein elasticity (primary venous reflux) or valve damage from prior thrombotic events (secondary venous reflux). The end result is pooling of blood in the veins, increased venous pressure and subsequent vein enlargement. As a result of high venous pressure, branch vessels balloon out leading to varicosities (varicose veins). Symptoms typically affect the lower extremities and include (but are not limited to): aching, swelling, throbbing, night cramps, restless legs, leg fatigue, itching and burning. Left untreated, venous reflux tends to be progressive, often leading to chronic venous insufficiency. A number of complications are associated with untreated venous reflux: including superficial thrombophlebitis as well as variceal rupture and haemorrhage. Chronic venous insufficiency often results in chronic skin changes referred to as stasis dermatitis. Stasis dermatitis is comprised of a spectrum of cutaneous abnormalities including edema, hyperpigmentation, eczema, lipodermatosclerosis and stasis ulceration. Ulceration represents the disease end point for severe chronic venous insufficiency. Chronic venous insufficiency is associated with a reduced quality of life particularly in relation to pain, physical function and mobility. In severe cases, varicose veins with ulcers, quality of life has been rated to be as bad or worse as other chronic diseases such as back pain and arthritis.